The Google-Apple map wars took another twist today when it was announced that Barnes & Noble is making OpenStreetMap, the Nook’s first mapping platform. 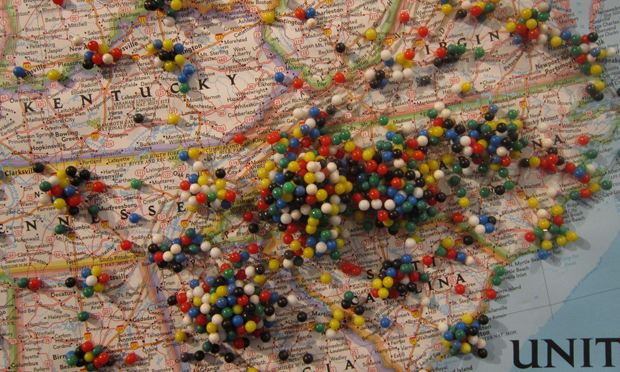 Barnes & Noble’s decision to adopt OpenSteetMap, through Skobbler‘s ForeverMap 2 app means that developers will also be able to create Nook applications with location-based functionality. Barnes & Noble’s decision gives them the edge on Amazon, who opted not to have Google Maps or a third-party map system integrated into the Kindle Fire’s version of Android. Kindle Fire users currently have to access Google Maps through the web, although limited GIS applications exist. Skobbler launched ForeverMap 2 on the freemium model; a free version of ForeverMap 2 is available for the Nook, while a $4.99 pay edition allows for offline use–letting users use their Nook as a navigation device. ForeverMap 2, which is already available on iOS and Android, is based around downloadable maps which are cached for offline use. The automobile angle is being pushed hard by both Amazon and Skobbler; the product’s press release included mentions of “intuitive route guidance [and] wifi positioning.” While the Nook family of devices are all wifi enabled, they lack the 3G or 4G access of iPads and smartphones or GPS capabilities. 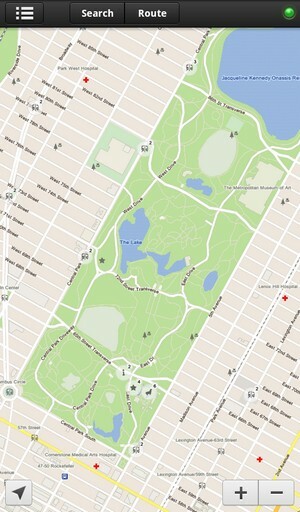 Apps with location-based services for the Nook can be developed through ForeverMap 2. According to Barnes & Noble’s Claudia Romanini, the software “signals a brand-new opportunity for Nook app developers to create location-aware apps, products and services that help our millions of Nook Tablet and Nook Color customers experience and navigate their physical surroundings in unique and innovative ways.” Skobbler is making a public API set, GeOS, available for developers to build commercial apps based on OpenSteetMap. OpenStreetMap is a Wikipedia-like open source mapping project that has quietly become the dark horse in the great map war between Google and Apple. Both Apple and Google are deeply interested in exploiting new sources of revenue from new location-based mobile advertising and marketing technologies that are expected to become commonplace in 2013 and 2014. GeOS is currently in private beta but is expected to become available to publishers in early 2013. In an interview with Fast Company, Skobbler’s Markus Thielking said that the Nook was a perfect opportunity to show the strengths of non-Google maps on a tablet. One selling point, according to Thielking, is the speed of downloaded maps on ForeverMap 2. Skobbler is the best known of several firms building commercial products based on OpenStreetMap. By making an API available for robust app construction–and securing the Nook as their exclusive playground–OpenStreetMap is becoming an important player in the mobile map wars. Google has begun charging for high-volume use of Google Maps’ API, while Apple is likely to restrict their map system to iOS. Using a Nook to get directions to the grocery store not only benefits Barnes & Noble (who could use some good news), but it also gives Amazon and Google new headaches.